UK based street hop act and Japa crooner, Naira Marley teams up YAGI records singer and songwriter Lil Kesh for his new single titled “Royal Rumble”. Their last collaboration was on “Issa Goal” which was a massive hit record as at the time it was released and they have linked up again on this potential hit song produced by Rexxie. 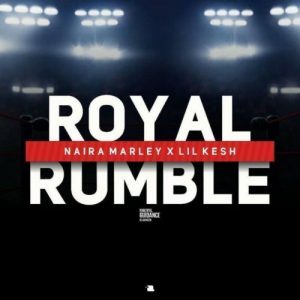 Watch and download “Royal Rumble” by Naira Marley featuring Lil Kesh below and let us know what you think about the song in the comment section below.